Broom manufacturers offer custom and private label service for all brooms designs on our website. 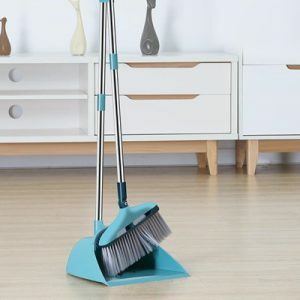 Feature: The bristles are soft and do not hurt the floor; the handles are lengthened for easy effort. It is indeed very happy that a family lives together, but in contrast, the health problems at home become difficult to manage, especially in families with small children at home, and they are full of rubbish when they are not careful. And nowadays it is the most troublesome in terms of hygiene. The most difficult thing to solve is the hair that is lost in daily life. It is not easy to break, and it is very small. It is easy to stick to the broom. It is very troublesome to clean, but choose the broom for you. It’s easy! A person can’t live without a comb. The comb can not only comb the hair but also massage the scalp to promote blood circulation. Under normal circumstances, the hair is a symbol of trouble. On the head, comb with a comb and fall to the ground. 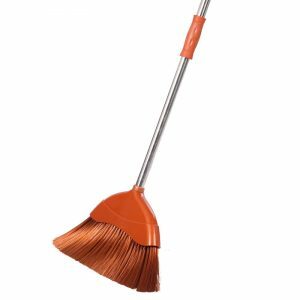 To use the broom to sweep, there will always be a lot of hair on the broom head of the house. People can see that the scalp is numb, and the new broom and shovel combination can solve all the troubles with a swipe. Cleaning is sure to be the biggest headache for big homes. Some big rubbish in the house is very easy to clean, but always some tiny dust can make people feel bad, like the dust in the small corners of the house. Wipe it with a rag, because the ordinary broom will not be able to sweep it, even if it is swept, it is very difficult to sweep it. 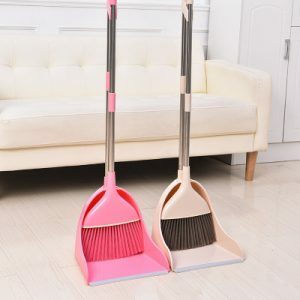 At this time, you should match the soft broom, the soft and soft broom head, let the dust smash from the hand. 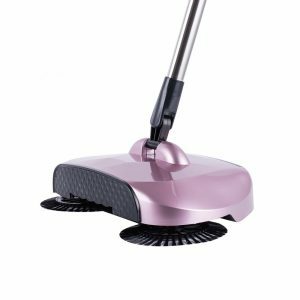 The home needs a big cleaning, there is no one who is handy, how can I do it! Daily cleaning is not only to clean the living room, kitchen, and bedroom but also to clean the bathroom. The bathroom is damp and has to be taken care of when choosing the tool. 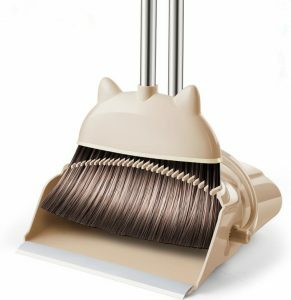 The quality of the ordinary plastic broom is not particularly good, not strong, this stainless steel broom is very suitable, because it is not only durable but also not used after use. I will worry that it will rust! The broom can be said to be a must-have item in the home. If you love clean, you can choose it! First of all, the appearance of the broom is beautiful, it can’t destroy the beautifully dressed beauty, and secondly, it is practical enough. It is also the most important aspect of people nowadays. Whether it is a broom or other living items, it should be light and easy to handle. 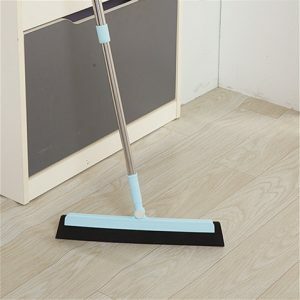 This broom is made of high-quality soft bristles, which is soft and clean, so it doesn’t hurt the floor. It is convenient when it is not used. As a young modern housewife, I have to go to work, I have to bring my children, and I have to clean up the hygiene of my family. From morning to night, this is the rhythm of being driven crazy! The most feared thing about doing housework is the ground that has just been swept and dragged, and it has been trampled by the baby. How can I get the body back and forth? Of course, the new era will use new products. This is the sweeping machine. You don’t have to do it yourself, it will be enough for you! What can be done to clean the cleanest and most neat? This is the scraper broom, the baby is born to love, love to play some small things, sometimes accidentally knocked over the broken items, get to the floor, use the broom to sweep clean, and there are residues, then you change Try this dust-free scraper broom, and the housework troubles are swept away, and it will not leave any traces when it is wiped, cleaning the corners, and it is easy and clean.